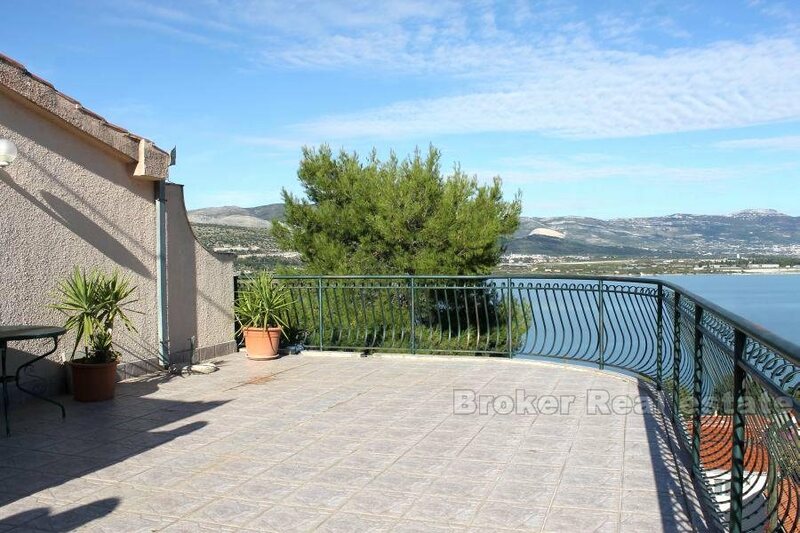 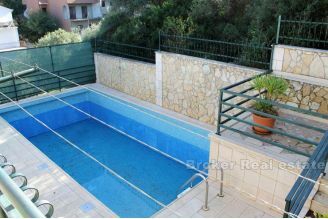 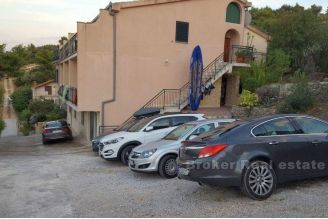 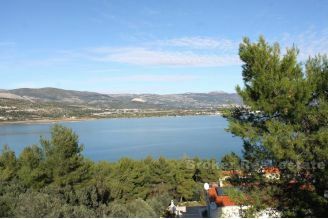 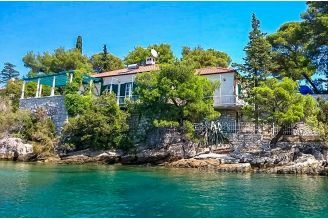 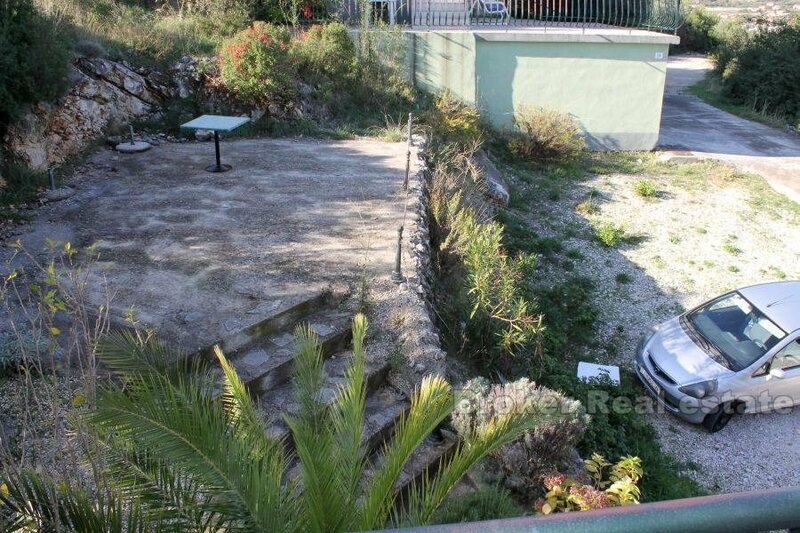 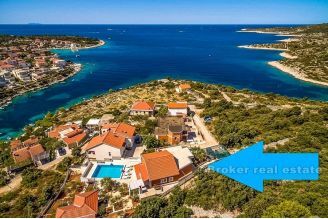 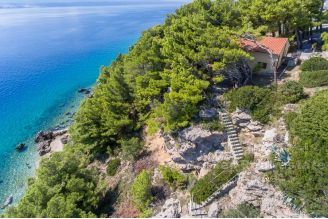 Detached house with 9 apartments, a large apartment of 140 m2, a restaurant and swimming pool, and a common terrace of 50 m2, located on the northern side of Ciovo, with total area of ​​480 m2, with 530 m2 of land, and an additional 400 m2 building plot located next to the house. 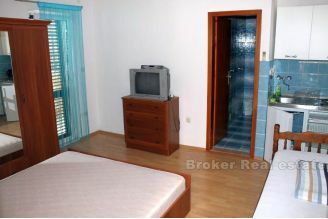 The apartments are fully furnished and equipped, and are divided into three categories. 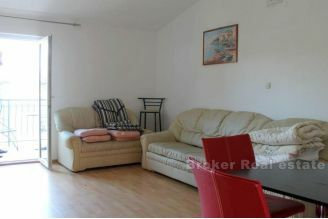 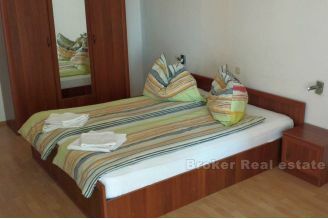 There are 4 smaller apartments, 35 m2 in size, for 3 persons. There are also 4 middle-sized apartments, 45 m2 in size, also with one bedroom, but can accommodate 4 persons. 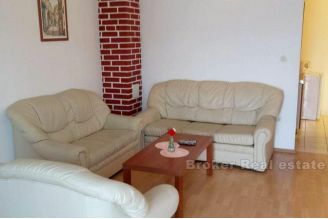 There are also two large two-bedroom apartments, 60 m2 in size, which can accommodate 6 people. 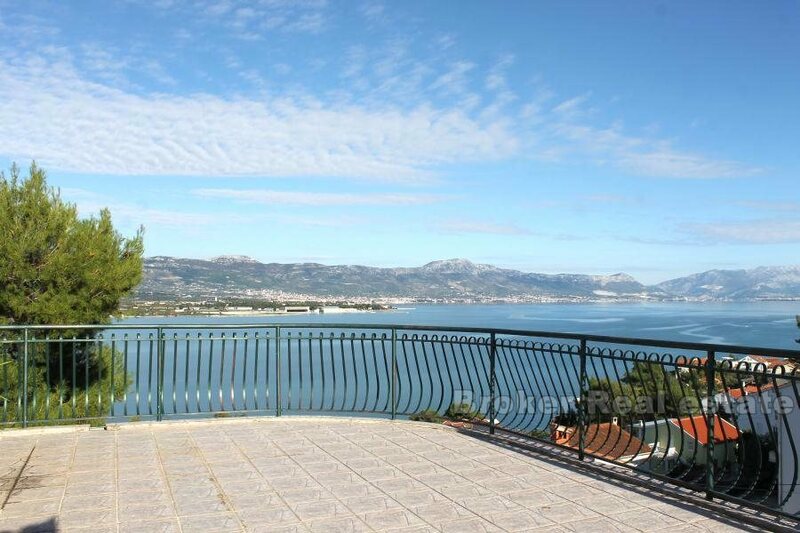 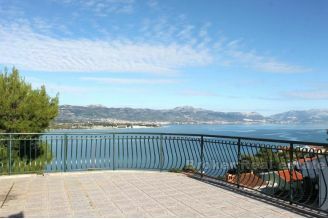 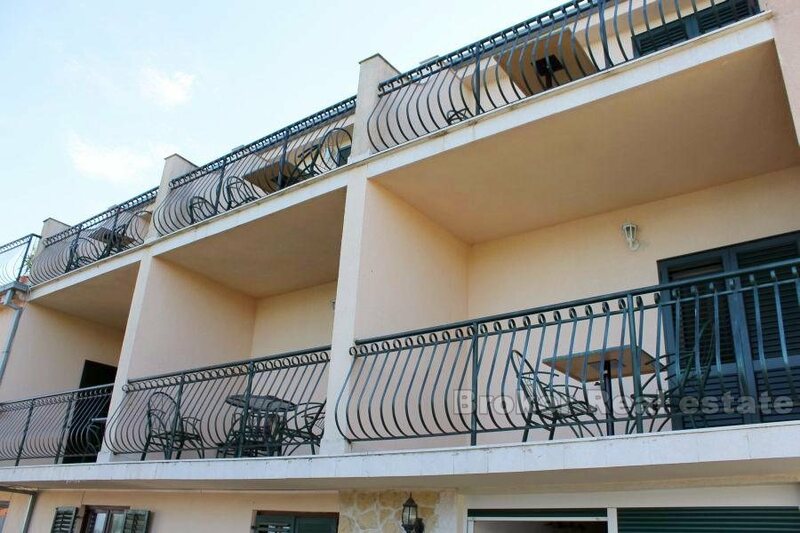 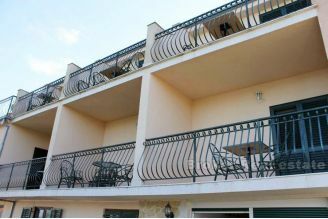 All apartments have a private balcony overlooking the sea and a beautiful common terrace of 50 m2. Divided from business apartments, houses also consists of a huge apartment with 4 bedrooms, a total area of ​​140 m2, with a terrace of 40 m2, kitchen, living room and bathroom. 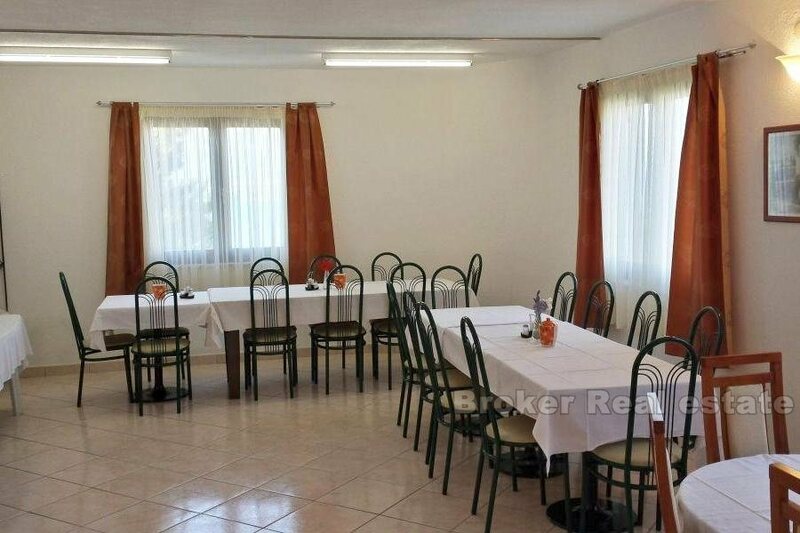 Inside the house there is a special room, conceived as part of the restaurant, where guests are served dishes from the grill, while on the plot is a large common pool for the entire house. 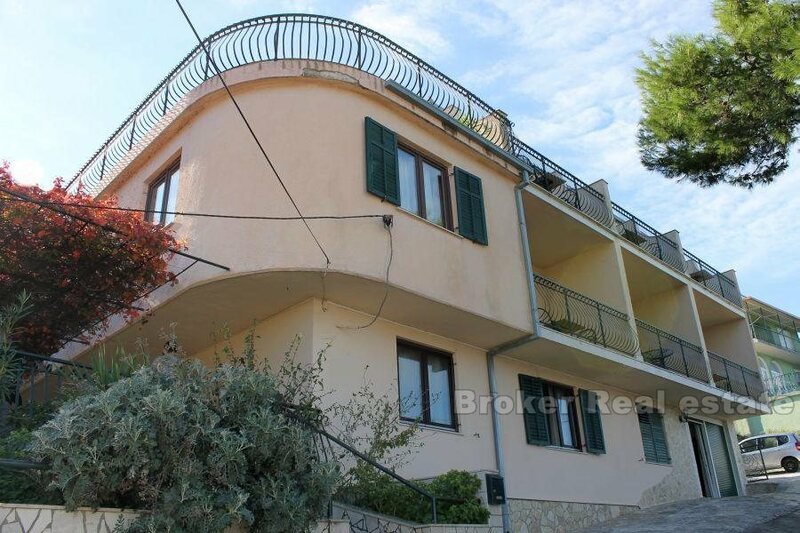 Except the house, the price also includes a nice plot of 400 m2, with a project for the construction of 360 m2 of living space (9 apartments), and parking for several vehicles. 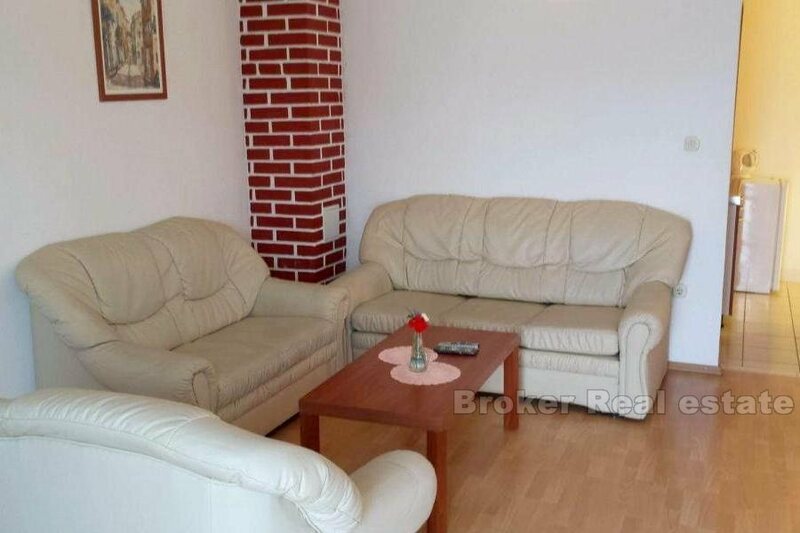 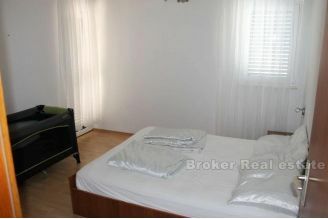 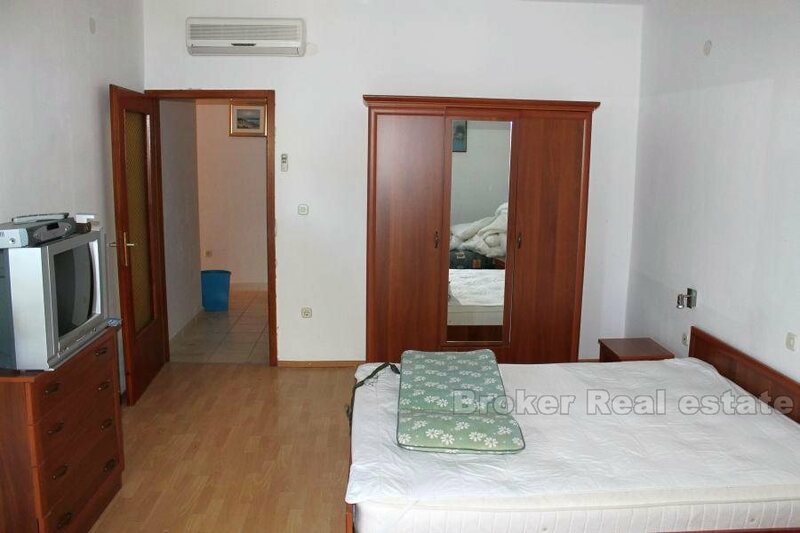 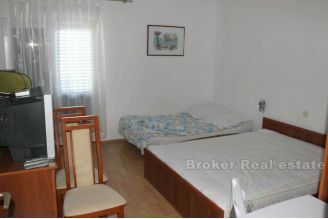 Due to the location and price, this house represents quality tourist investment.